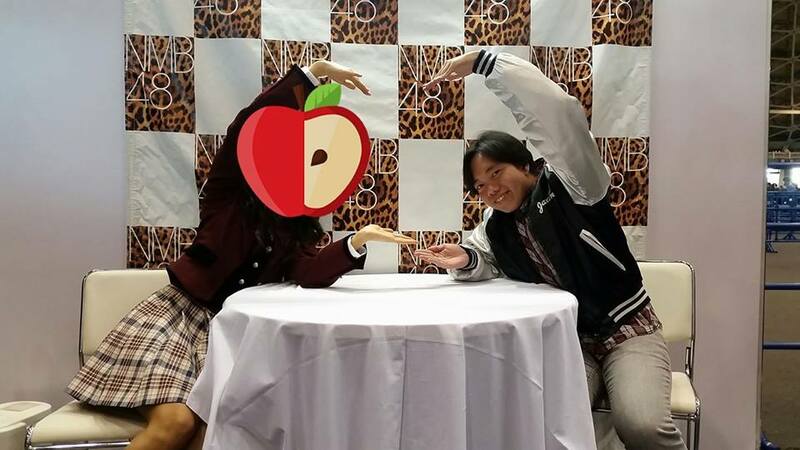 In this latest event report, we experience taking pictures with actual idols! Wanna see the girl in the picture? Read more to find out! 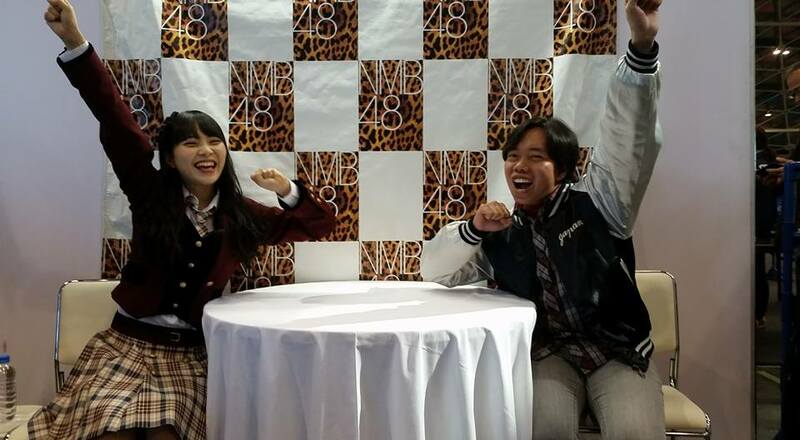 November 3, 2017, Port Messe Nagoya, NMB48 held a 2-shot event to commemorate the release of their latest full-length album Namba Ai ~ Ima Omou Koto ~. The members that I've been able to meet will appear in the order that I met them. I will write down my summary of each photo session. I will also add some information about these members. Mita Mao, also known as Maokyun by fans, has been a member since 2011. Known for being an amine/manga fan, particularly boys' love, she also makes great artwork, an example of which is the cover for the theater edition of the Namba Ai album (see vlog). She was also a voice actress in the anime AKB0048, along with other 48-group members. 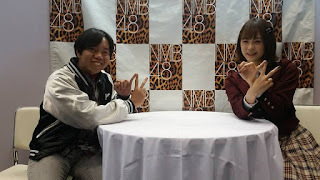 Since I didn't know what pose to do with her, she suggested the signature hand sign of Team N, to which she belongs. After the shoot, I told her that my first 2-shot is with her, to which, she happily thanked me. Shion is relatively new to the group, having joined in 2015. However, she made her big break by becoming a performing member for "Masaka Singapore", the carrier single of the Namba Ai Album. She also appears in the music video of said single. Knowing her high energy personality, i asked her to do a high energy pose with me. Afterwards, as we were shaking hands, she stood very close (too close in fact, I could've kissed her loljk), asking me to come back so she could give me more energy. Finally, the mystery girl revealed! My favorite member, and the main reason why I came to this event! Airi has been a long time member since 2011 (she is batchmates with Maokyun). One of the more relatively popular members, she has been consistently chosen to be featured in many music videos, starting with the song "Nagiichi". Although she became famous for a boyish look and dressing in boys' clothes, around 2016 she has since become more feminine in looks and behavior. 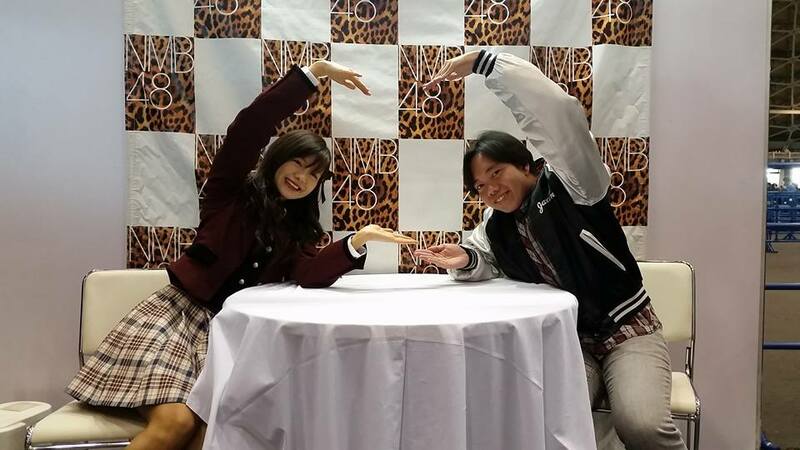 I asked her to do a giant heart pose with me. After briefly thanking me, I was immediately pulled away by the staff to make way for other fans (they were actually trying to make up for lost time because Airi and a few members arrived late due to traffic). Check out the girls on Twitter!